These Snap Frames are Cheaper than the Competition! 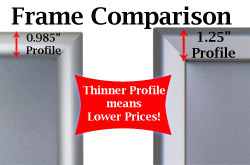 These Displays are an Affordable Display Option! 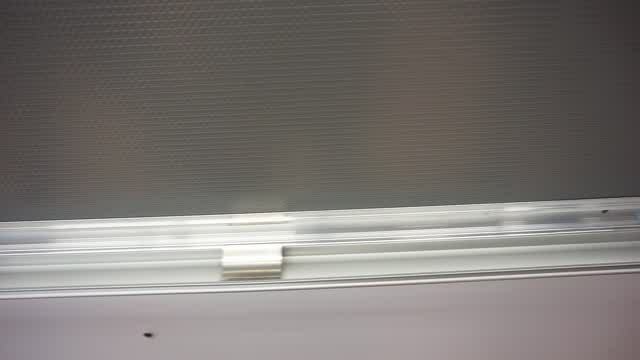 These Snap Frames are Easy to Use! 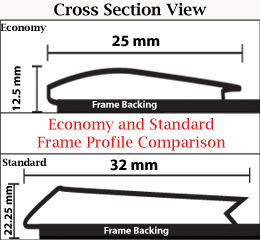 25 mm Profile is thinner than the standard 32 mm snap frames for a reduced price point. .985" Extrusion makes the frame less rigid than units with thicker 1.25" profiles, but this frame is just as stable once mounted. Four snap open edges make changing posters quick. Flexible plastic non-reflective lens protects prints. Mounting hardware included for fixing on the wall in vertical or horizontal format. This snap frame looks great in any setting. The thinner profile tends to make this poster display flimsier, but once properly wall mounted this sign holder is completely stable. 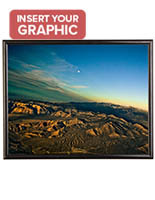 This 22" x 28" snap frame has a large enough viewable area to display most sized prints and posters. 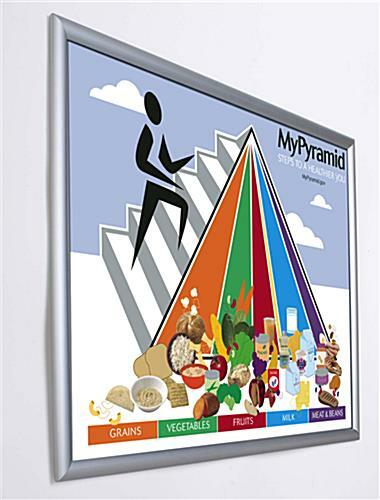 Mount this display in either horizontal or vertical format.This economy snap frame is perfect for use in restaurants, retail stores and community centers. With these displays it's incredibly easy to change signage in a short period of time. This affordable silver snap frame is easy to setup and simple to maintain. 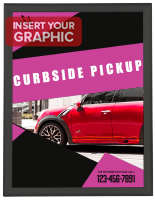 These poster displays have a 25mm profile so they can be sold cheaper than similar products. 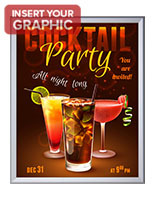 This cheap 22" x 28" snap frame makes signage change a breeze and will save users lots of valuable time. 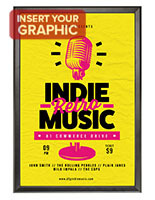 Place menus or store sales in these poster signs. 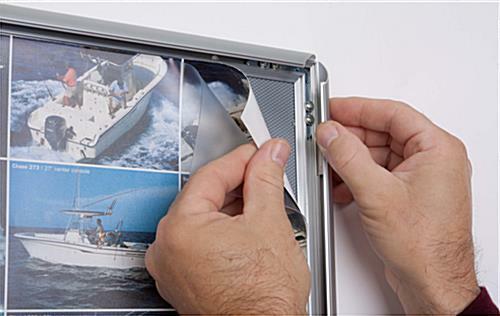 This snap frame is essential for any business that is constantly adjusting the prints being displayed. No need to worry about constantly changing menus. 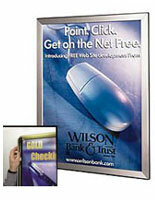 This silver economic snap frame has a silver finish that will mesh nicely with any environment. 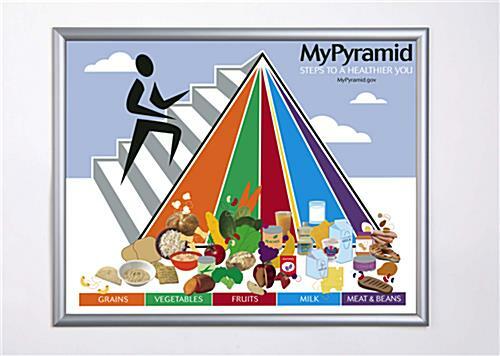 Save money while not compromising too much quality. 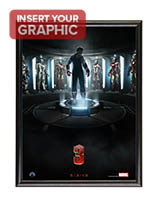 The only feature that separates this item from other snap frames is the thinner profile of these displays. Easily save cash with these affordable picture holders. 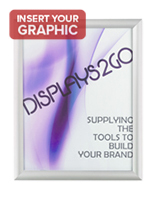 These discount snap frames make setting up retail and restaurant displays simple, and will save both time and money. 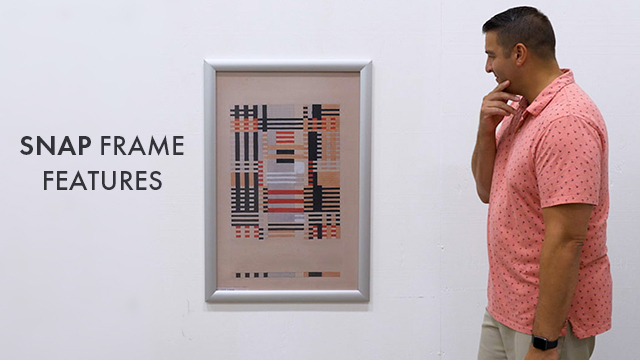 23.0" x 29.5" x 0.10"